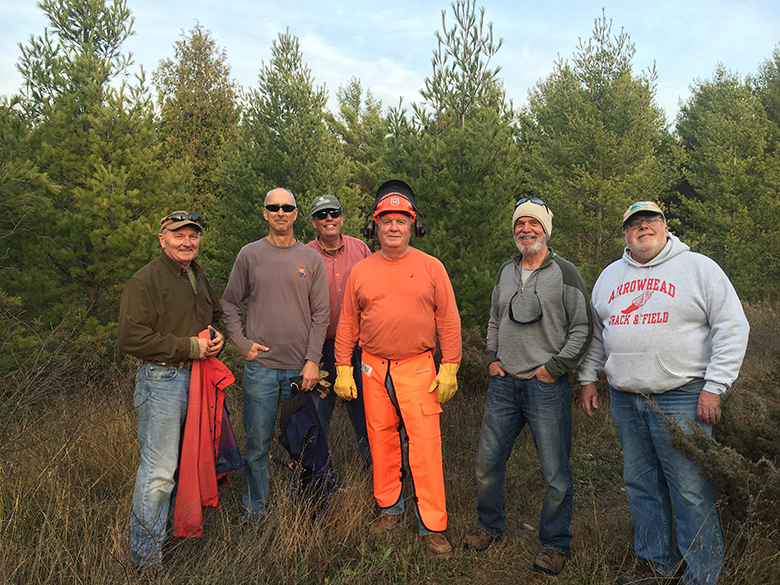 Join the Door County Land Trust for a morning of work at Three Springs Nature Preserve to control non-native scotch pine. Scotch pine is a coniferous tree in the pine family (Pinaceae) that strives in old fields and open forested areas like at Three Springs. We have worked here in the past to control scotch pine, and we have planted native trees at the site this spring. So we would like to continue our efforts! We will be meeting at 9 am at the preserve parking area and working until noon on Tuesday, May 17th. The Three Springs parking area is located at 10442 Three Springs Road. To get to the Preserve from Highway 42 in Sister Bay, turn east onto County ZZ and travel 1.5 miles past the intersection of County ZZ and Old Stage Road. Turn right onto Three Springs Road. The preserve parking area is located 0.1 miles past the preserve sign down the gravel lane.